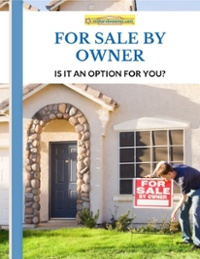 Selling your home feels personal. You want people to like it. Because after all, it’s a reflection of you, your family, and your collective stuff. But, real estate experts say it shouldn’t be personal, and as soon as the house is destined for the market it should become a “product.” That’s easier said than done sometimes, especially when prepping for an open house. Open houses are meant to showcase the house and its potential to buyers, not to showcase your belongings and the personal style you love so much. Ouch. It’s hard to accept the fact buyers aren’t going to appreciate the perfect shade of green in the kitchen you’ve hand blended or the lived-in feel in the den your family has worked so hard to cultivate through regular game nights. How can we get past personal attachment to the house and the items inside to sell your home quickly and for the best price? In short, clean and clean some more. Inside, outside, and up and down. It’s the cheapest way to get the best asking price and by extension, cleaning yourself of the attachment to the space. If you’re reluctant to go, hire a crew to come help with the initial scrub down to get a good start and much needed motivation. Emotionally speaking, boxing the family’s special items and storing them will help cut the connection levels, while the planning of the new home’s space is a great diversion for missing the old house. Meet Jennifer Farlin of Bella Home Staging. She couldn’t agree more with intense cleaning tactics when it comes to budget conscious open houses. Although she stresses the importance of Basic Cleaning 101, she also added a few not so obvious items to the cleanup list. Cabinets: dirty kitchens and bathrooms are an almost guaranteed No Sale. Closets: buyers will peek, and if they see disorganization, it will seem as though there isn’t enough storage space. Carpets and rugs: hire professionals to clean. You’ll want them clean for your new place, too. The cleaning process isn’t complete without decluttering and removing unnecessary personal items such as photographs or personalized art and accessories. Buyers want to envision their very own monogrammed pillows and towels in the house and will be distracted if your style is front and center. The Six Second Rule. She feels it takes buyers only six seconds to make up their minds whether or not your house is a contender. That’s it, that’s all you’ve got to make buyers love your home. Six seconds. Spotlighting the clean factor in the first spaces buyers see is super important. Curb appeal: trimmed grass, weed-free, edged lawn, and potted flowers. Porch: swept, cobwebs removed, possibly painted or stained. Front door: new coat of paint, doorbell wiped clean, glass spotless, lighting cleared of bugs, new door mat. 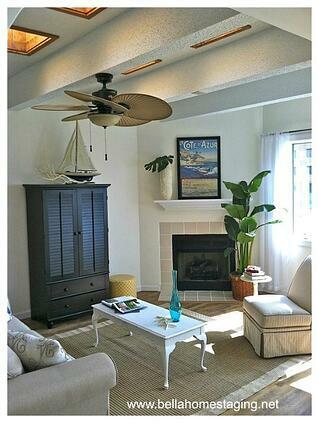 Foyer: pretty rug, mopped floors, updated light fixture. More cleanup advice to keep your house in the running! Let the light in. Open all blinds (dusted, of course) and remove heavy coverings that inhibit sunlight. No funky smells. Animals, basements, and dirty clothes are just a few of the items that contribute to an offensive smell, but the list is really endless. Don’t forget, it’s probably a bad idea to cook anything overly smelly the night before an open house. A gentle scent from a candle lit the morning of is a great addition. Focus on the front. Buyers wowed by visuals in the first rooms of the house might overlook the absence of a third bedroom or another desired feature that’s lacking. “Among REALTORS® who typically represent the buyer, 49 percent report most buyers are affected by home staging and 47 percent report some buyers are affected by home staging. Thirty-two percent of buyers’ agents believe staged homes increase the dollar value buyers are willing to offer by one percent to five percent. A one to five percent increase in the buying offer is great incentive to get to the cleaning, repairs, and even replacements. These projects will likely take weeks to accomplish, so it pays to think ahead and schedule a carpet cleaner to go with the handyman to fix small projects in the house well in advance. Thoroughly pre-planning the open house will save time and energy in the long run. 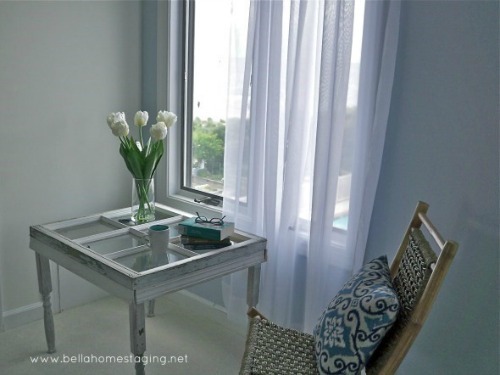 If there is budget for staging with accessories, Jennifer shared a few ways to spend your money to get the most of your decorating dollars. “Luxurious” and “high end” are descriptors that sellers want to hear from the open house feedback. Carefully chosen but inexpensive accessories will elicit those comments. Shopping common stores such as HomeGoods or World Market, the items will be easy to find. Plenty of furniture pillows. They add the look and feel of abundance and an upgraded lifestyle. Flowers. They’re a small luxury that most people buy only for special occasions. But the perception is fancy people always have vases of them sitting around. Classic decorating pieces. Mercury glass, candles, glass vases, simple trays, and baskets all can be repurposed from other rooms. Jennifer even suggests that careful placement of quality and classic accessories can detract from an outdated kitchen or bathroom. Today, buyers want turnkey homes, without the hassle of installing upgrades and beginning renovations. It was likely a costly journey through down payments, closing costs, and the like before the sale actually went through. They are ready to move in and live, without spending another dime. Although sellers might find it a little expensive to tear out old worn carpeting or repaint using neutral colors, the reward will come from quick and high offers, possibly from multiple buyers. Start using Jennifer’s advice and MilitaryByOwner’ vast collection of home selling strategies, and you’ll be well on your way to moving into your next home in no time. Images from Jennifer Farlin, used with permission.